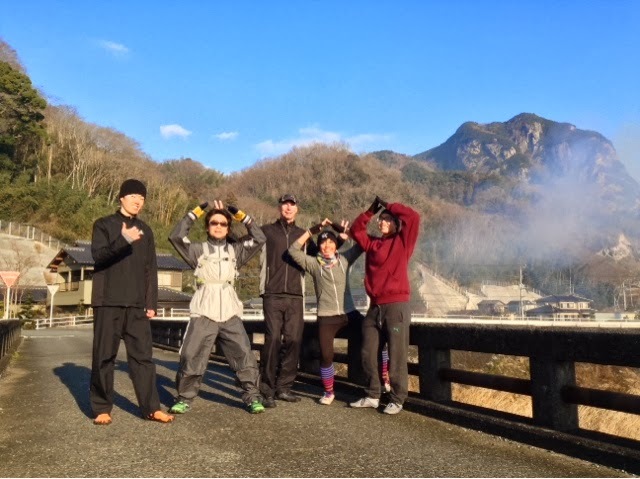 Izu English Running Club: January 12, two-thousand fourteen! Smoke from dondoyaki. A few of us did 2 laps for a 10km run this time. Then we had an excellent bbq. 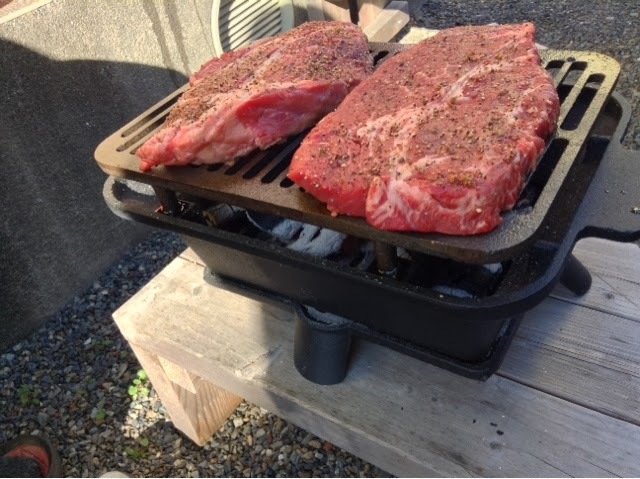 With giant steaks! 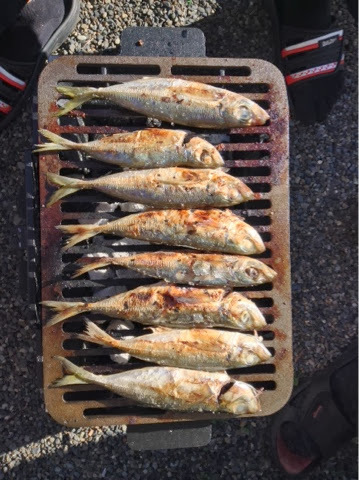 And some delicious salted horse-mackerel.